Getting people to play audio on social platforms is hard. The majority of users have their sound turned off and most (70%) are on a mobile device. NPR isn’t alone in this; the industry as a whole has trouble getting users to listen and/or watch on social platforms. 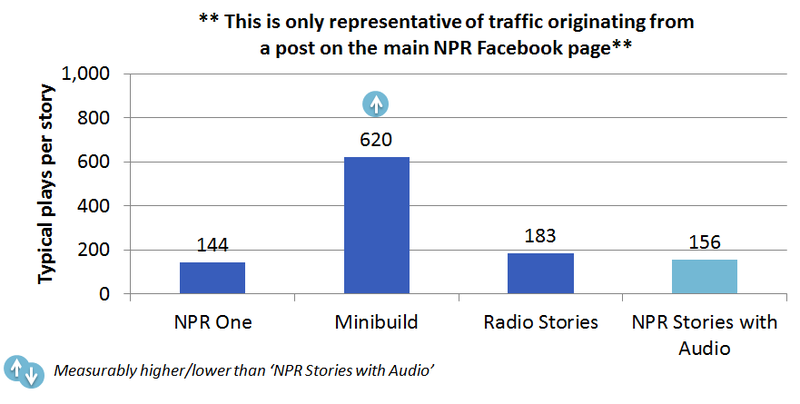 Over the past year, NPR’s Audience Insights group has been researching the impact of numerous audio/video initiatives on social media, particularly on Facebook. NPR has been experimenting in this space for some time. Back in 2015, we were an early adopter of an experimental audio post type on Facebook. It showed promise but we learned very little about how people were actually engaging with the audio. On Facebook Live, only 15% of all views have their sound turned on. That increases to an average of 30% if you consider visitors who watched at least 10 seconds of a video. For edited video on Facebook, the story is almost identical: 13% of all views have sound on and 29% have sound among those who view 10-seconds or more. In both the cases of live and edited video on Facebook, these figures match industry norms. This is not a problem unique to NPR. All news organizations who publish video on Facebook are encountering the same issue. Audiograms, which are short audio clips that are uploaded as videos that feature a waveform, experience the same issues that we see for edited video. It is possible to mitigate the impact of sound-off watching on video consumption. Captions, for instance, can help boost the performance of edited video. For live video, we’ve played around with adding brief text overlays that display facts relevant to what we’re discussing at any given moment. Radio Stories: these primarily focus on audio but also include transcripts and brief descriptions. None of the pages we published included an image. Minibuilds: these look similar to other story pages on NPR.org since they have an image but the text is brief and mainly serves as an introduction to the audio. NPR One webapp links: this is probably the purest audio link we published since it includes very little text and emphasizes audio above all else. In each of these cases we also made sure every post started with a “listen” call to action in an attempt to let users know what type of experience they would have after they clicked on the link. The results showed that these three types of links reached fewer people by a significant margin and resulted in lower click-through rates when compared to a typical web story (meaning a page with full story text) published to our Facebook page. The combination of those two factors means that far fewer people were visiting our audio story pages. Once people got to our story pages, they played the audio at rates far above what we typically see for full-text web stories that have audio associated with them. 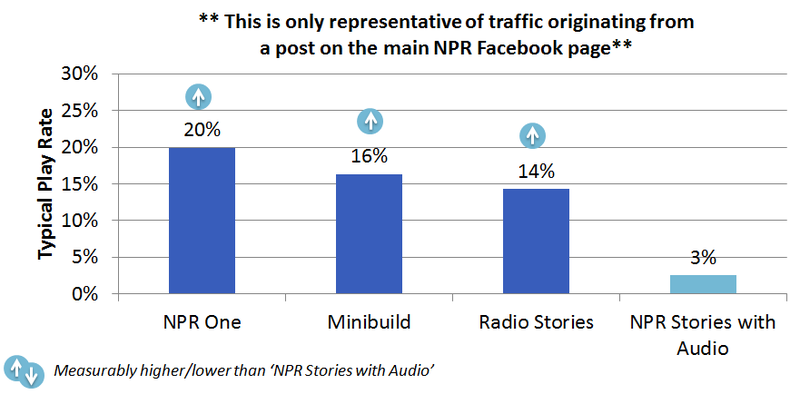 Despite the boost in audio play rates, though, the vast majority (80% or more) of users who clicked through to the story from Facebook still chose not to play the audio. Keep in mind that this result comes from posts where we signaled to the audience that we were offering them a listening experience. Even though play rates were higher on these posts when compared with web stories with audio, we usually found that the net number of plays were similar to what we typically receive since the play rate wasn’t high enough to offset the fact that fewer people were clicking through to the article. As you can see below, Minibuilds were the lone exception in this case. Looking to the future, Facebook has announced plans to auto-play videos with sound on by default (except in cases where a user has their phone on silent). Will users be more likely to “hide” videos with sound that auto-plays? This is a concern I’ve heard from one of our social editors and it’s something we’ll be watching. Will we be able to measure our audience’s interaction with the audio once it begins to play? Facebook would likely have to provide new metrics on how people engage with sound for us to measure the impact. For instance, a video might start with sound on, but be quickly muted by a user. We can’t see that interaction in the metrics now. Will we be able to see it in the future? The root issue remains: getting people to play audio in the social space is incredibly difficult. 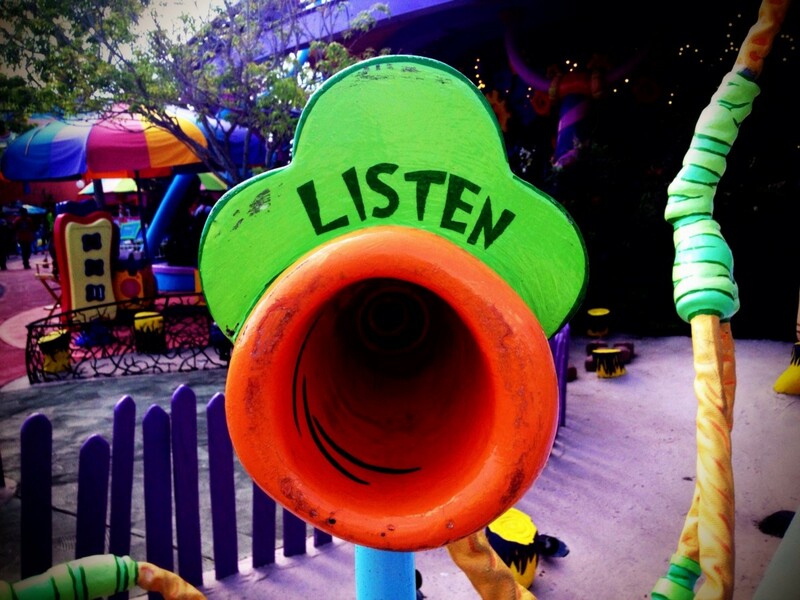 Social users tend to be mobile users and many of them may not be in a situation where they can listen. Their physical context often precludes the use of audio. It’s important we keep the environment of our users in mind as we continue to experiment with audio in the social space. We must temper our expectations. 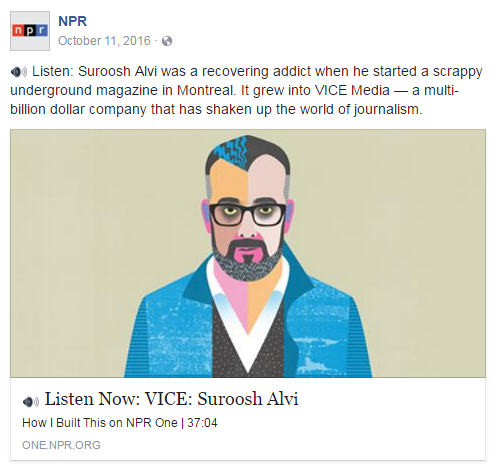 Digital Metrics Analyst at NPR. Researching all the digital things.